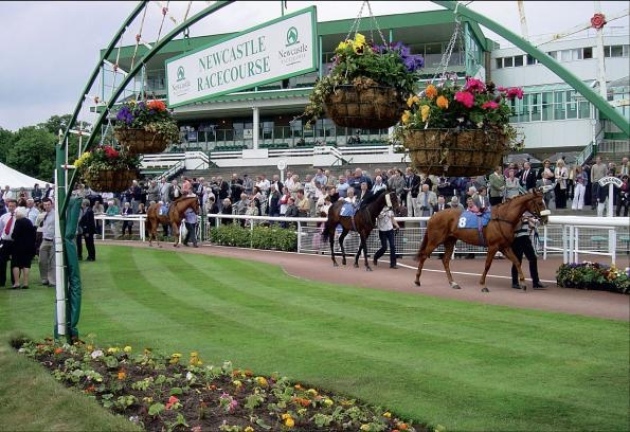 The Grand National is often billed as the most unpredictable race in the world. 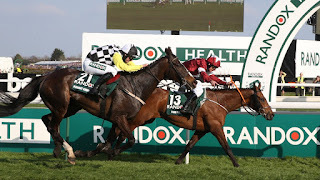 However, for all the vagaries of a race typically contested by a huge field and run over 4¼+ miles and 30 idiosyncratic fences, the Grand National winner has been returned at a treble-figure price just five times in 180 years. The first 100/1 winner of the National, Tipperary Tim, didn’t come along until 1928, 89 years after the first ‘official’ running of the race. Trained by Joseph Dodd and ridden the amateur William Parker “Bill” Dutton, Tipperary Tim won by virtue of all the other 41 starters, bar one, failing to complete the course. The eventual second, Billy Barton, parted company with jockey Tommy Cullinan at the final fence, but was remounted, at the second attempt to finish a distance behind the winner. Lo and behold, having waited nearly a century for a 100/1 winner of the National, the next one arrived the very next year, in 1929. That year, the ditch at the Canal Turn was filled in, but the winner, Gregalach, nonetheless faced 65 rivals in the largest field ever assembled for the Grand National. Trained by Thomas Leader and ridden by Robert Everett, made stealthy headway to tackle Cheltenham Gold Cup winner, and favourite, Easter Hero at the second-last fence and win by 6 lengths. The 1947 Grand National was shrouded in tangibly thick fog and won by another 100/1 outsider, Caughoo, trained in Ireland by Herbert McDowell and ridden by little-known jockey Edward Dempsey. Caughoo came home 20 lengths ahead of his nearest rival, Lough Conn, ridden by Daniel McCann, who subsequently accused Dempsey of concealing his mount in the fog near the Melling Road on the first circuit and rejoining on the second. After a fracas, and a court case, photographic evidence eventually revealed that Caughoo had, in fact, jumped Becher’s Brook twice, so must have completed two full circuits of the course. The seventh fence on the Grand National Course – also, of course, the twenty-third fence – has, since 1984, been officially called ‘Foinavon’. Foinavon won the 1967 Grand National at 100/1 and is commemorated for being the only horse to avoid a melee caused by a loose horse, the aptly-named Popham Down, at the fence which now bears his name. With all the remaining runners falling, being brought down or refusing, Foinavon was left well clear, eventually winning by 15 lengths. The fifth, and final, 100/1 outsider to win the National, Mon Mome in 2009, won fair and square, by 12 lengths, on a sunny day and was one of seventeen finishers. His performance appeared no fluke, but he was settling an old score for his trainer, Venetia Williams, who had been knocked unconscious when her mount, Marcolo, a 200/1 outsider, fell at Becher’s Brook on her only attempt in the National as an amateur rider, 21 years previously. It always helps to have answers to questions where betting is concerned. In the long run, having discipline and a deliberate approach goes a long way. You see it in horse racing, you see it in casino skills games like poker, everywhere really. A calm head and balanced approach to betting, as opposed to getting caught up in the highs and lows, brings success your way. There is of course the flip side to that though, the wild card. The 'what are the odds of that happening' events that always turn up from time to time. Regardless of what you know in life, it definitely helps to have a bit of luck on your side. This is perhaps best illustrated with the likes of Frankie Dettori's legendary Magnificent Seven win, where Dettori won in every single race on the September 1996 race card. A feat that had mind boggling cumulative odds of 25,051-1. It could be said that what's really surprising about this event above all else though, is the loyal little group of punters that decided to bet on all seven of his rides that day, despite it looking distinctly unlikely that he'd actually perform a clean sweep. It would've surely seemed like a foolhardy endeavour prior to the races, but despite that some were laughing all the way to the bank. On course Bookmaker Gary Wiltshire alone lost over a million of a day. Mary and John Bolton, up from Somerset to celebrate their wedding anniversary, pocketed £500,000 from their Ladbrokes bet (The max payout, they were actually due £900,000!). Some were not so lucky, betting on the selections individually. The difference between daring to dream and playing it safe. So there can be an element of 'you've got to be in it to win it' even if the odds look almost insurmountable. This can often be true of extreme Outsiders in racing, especially with the 125-1 or 200-1 odds that are not especially uncommon on the exchanges. Even if you feel the odds are up against you, consider how few you actually need to come through for you to make it the right bet to make. The value bet to make. 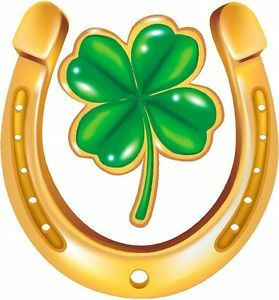 And this is where there is an element of skill involved, so why not go with it, especially when you see that even with pure luck examples of good fortune, some are now sitting pretty. The odds of lottery and scratch cards wins for instance can be significant, but for those who actually raked in winnings due to a big win for a tiny outlay it's entirely academic. We're talking significant life changing sums of money here. Of course again this is where it's solely luck at play, but it's useful to put odds in perspective, and what you can miss out of if you hold back even when you do have knowledge and insight on your side. It can be hard to see the big picture sometimes, and often people read 100-1 or 200-1 and see 'impossible', which in part frequently explains the drift on the exchanges due to the 'it'll never happen' crew. Well, quite often it does happen, and if you're considered in your approach and also have that little sprinkle of luck that we all need in life, the odds may very well be on your side. We're now a little under two months until the 2019 Grand National (Saturday 6th April) and we'll once again get to witness the most popular event of the UK National Hunt season. Who amongst us doesn't enjoy a well earned flutter on what is nothing short of a national institution at this point, and has roots going back a century and a half. The National is a sporting spectacle each and every one of us has grown up with and is a source of fond memories for most racing fans. 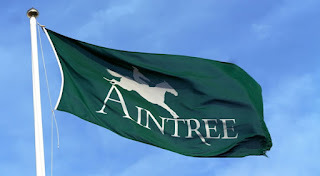 Whether it's the office sweepstake, following form of tipsters or just a name you like the sound of, we all have our own systems and stories surrounding the race and we all enjoy feeling part of the excitement and action. It's still very much early days but current Grand National front runners for the 2019 race include Tiger Roll and Vintage Clouds. For those looking for a bit more bang for their buck, outsider options extend to several selections of 100-1 + such as Jarob, Morney Wing and Lieutenant Colonel (the latter of which is available at 200-1). We'll be taking a closer look at the betting as the race approaches. The above accounts for all 40-1 and above Grand National winners in the race's history, so true outsider winners are rather 'few and far between' in the big picture, but with the 1940's and 1960's being real hotspots for outsider wins. At six years since the last 40-1+ winner some would argue that we're 'due one', so it might be worth a punt on a longshot if you spot something specific that you like about it. It's worth adding that these are all SP odds too, so often they may have been bigger and/or will certainly have been on betting exchanges since the advent of those. Of note is that the bigger priced winners over more recent decades are typically older, and so that might be something that could factor into your thinking and decision making too. Winning times have been fairly consistent over recent years,. That might shock some since there are so many vairables at play and hurdles are a challenge to traverse at the best of times, especially when horses start to tire over the arduous 4 miles 514 yards distance . If you have your eye on an outsider for the Grand National already, which one and why?